In accordance with Mother Easwaramma’s third wish, clean drinking water was brought to hundreds of villages and to the thirsty population of a million people of the Anantapur district. 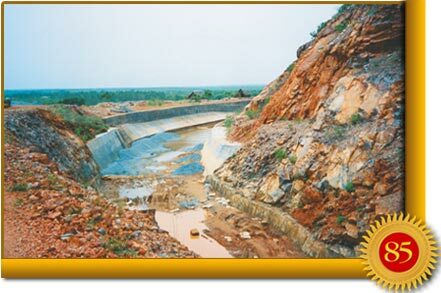 This was a water project conducted and funded entirely by Bhagavan Baba. 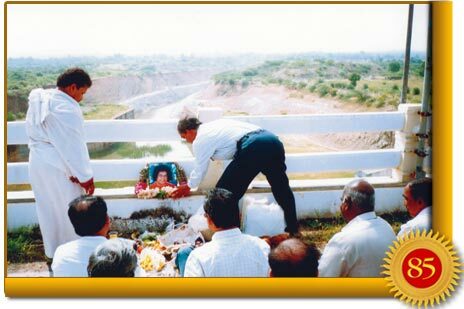 During Vijayadasami Day in 1997, the entire water project along with its assets was officially turned over to the Government of Andhra Pradesh. Doing so, Baba said: “Embodiments of Love. You have listened to the speeches of many leaders. They have spoken from their hearts and given expression to their concern for the welfare of the people. “Today is Vijayadasami, an auspicious day for the transfer of the drinking water project to the Government of Andhra Pradesh. The Chief Minister has accepted the responsibility for its proper maintenance. I am confident he will carry out his programme well. By his acceptance, we have been relieved of an onerous responsibility. “Much remains to be done in Bharath. Water is a primary need all over the country. From My earliest years, from the beginning I have been thinking of three primary requisites: education for the head, health for the heart, and water for the body. These three have to be supplied. All these three have to be made available to everybody – totally free of any charge. It is My will that pure drinking water is available to everybody. That is My resolve. “Everyone should contribute his energy to the solution of such problems. Each one should realise their obligation to society because it is society which has nurtured him/her. Wherever necessary, people should come together to solve their mutual problems through their cooperative efforts. “I am prepared to help anyone from any village, any state or any community. I do not cherish differences of any kind. I assure you that I respect only one caste - the caste of humanity, only one religion - the religion of love, and only one language - the language of the heart. I shall never say ‘No’ to anybody who seeks My help, whatever his caste, region or creed may be. “Whether in Bharath or in any other country, there is no lack of resources. Resources are available everywhere. It is the impulse to undertake welfare projects that is lacking. When that initiative is there, anything can be achieved. If people can go to the moon, cannot they make the journey to their hearts? So we find Baba extending His grace to all who seek Him in earnest. But, He also admonishes the leaders in government and implores them to put aside their special interests, view their subjects with compassion, and cooperate with each other to provide the benefits needed by man. Many have speculated how Bhagavan funds these immense projects. On Krishna Jayanthi (Janmashtami Day) in 2001, He gave a full account of the funding and expenses of all His projects. “To admit a child in a primary school, one needs to spend something like 20,000 rupees. In the Sai institutions, education is imparted from kindergarten to post graduate free of cost without any kind of discrimination. Even doctoral work is done free. Our institutions do not collect a naya paisa (single paisa) from any of the students here. Thousands of students have enjoyed these benefits. “In the field of healthcare, each heart operation may cost around 2-3 lakhs of rupees. Is such treatment available to the poor? Where will they get such amounts? This is not a happy situation. I had the Super Specialty Hospital constructed at Puttaparthi with the aim that high-level health care should be available to all. No aid is received even from the Government. Yet the salary of the teaching staff is fully met. My institutions are paying wages in full compliance with government regulations. One should not go against rules and regulations. 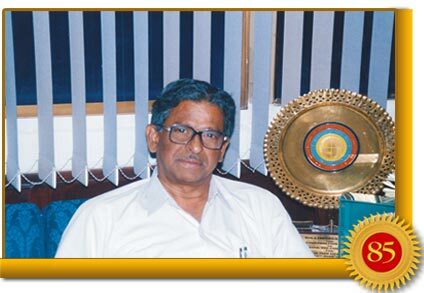 “Early this year, I started another Super Specialty Hospital in Bangalore. Within a period of six months, 1,500 operations have been successfully performed there. The specialist doctors are highly paid. Some of them receive a lakh of rupees. I said that no compromise on salaries should be made. “Now the water project in Anantapur: I have spent 300 crores of rupees and made water available to the extent possible. “The Bangalore Hospital involves an expenditure of three crores of rupees per month. Special medicines and artificial heart valves have to be imported from America. Similarly, the Prasanthi Nilayam Hospital costs about two crores of rupees per month. 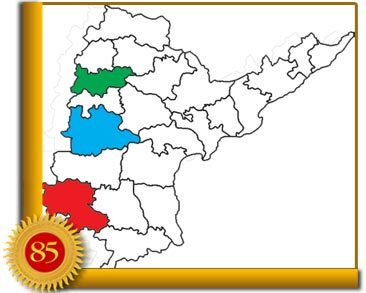 There are educational institutions in Prasanthi Nilayam, Anantapur, Bangalore, Muddenahalli and Rajahmundry. These cost about one crore of rupees a month. The total expense of all these projects is 6 crores of rupees per month. 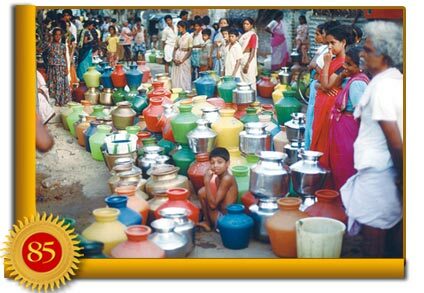 Under Bhagavan’s direction, water was brought to the drought prone areas of northern Andhra Pradesh. He, then, announced an even more ambitious undertaking. It was on 19 January 2002, during the occasion held to mark the first anniversary of the Super Speciality Hospital at Bangalore. He announced: “I have willed another undertaking at this sacred moment of life. In the state of Tamil Nadu, there is no water. Rich people can afford to buy water from long distances. What will the poor do? How can they continue to live? By drinking polluted water from ponds and puddles left by the rain they spoil their health. “Let it be really difficult. Let it be a stupendous and magnificent task. I have decided to provide drinking water to Madras. Back in the early 18th century, the British landed on the East Coast of India in what was then a small fishing village known as Chennaipatnam. Here they built a fort. Under the British, Chennaipatnam became Madras and grew into a town, then a city and now a metropolis. There are no big rivers near Madras and therefore, as far back as the late 19th century, there was an acute water problem. In 1884, a British engineer suggested that a small dam be built across a river flowing nearby. This river is mostly dry but would receive water during the north-east monsoon. A dam was built, and water from it was taken through canals to two reservoirs. The water was used for drinking and for the irrigation of the surrounding countryside. Years later, the supply of water for irrigation was stopped, and the stored water was used exclusively for drinking purposes. 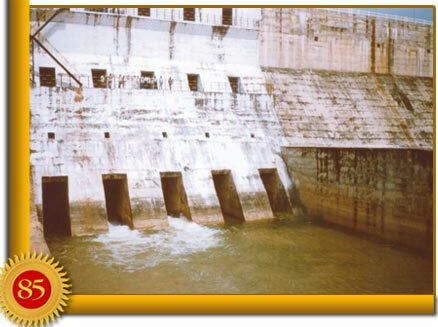 In spite of this, the reservoirs were inadequate because of the demand from the city’s rising population. Another tank was built, this time at Poondi, but again demand soon overwhelmed supply. During the 20th century, plans to provide drinking water to Madras were made, but not followed through. Some projects were begun, but failed due to corruption and scandal. Then a plan was conceived to bring the water of the Krishna River stored at Srisailam Dam in Andhra Pradesh south to the Kandaleru reservoir, also in Andhra, and from there by a 150 km canal to the Tamil Nadu border. This was agreeable to the Chief Minister of Andhra Pradesh. He wanted to bring water for irrigation south to the parched areas of his state. The additional funds agreed to by Tamil Nadu gave him the excuse to proceed. The plan was named the Telugu Ganga. In 1996, after 13 years of construction, the project was finished. The flow of water, however, was disappointing. This was because the canal was not properly reinforced and sections caved in due to erosion; there was considerable seepage and farmers all along the route easily dug diversion channels through the earthen banks. All of these depleted the water supply. Meanwhile, the drinking water problem of Madras became more acute. It was then that Bhagavan Baba made that dramatic and totally unexpected announcement in January 2002: He would supply drinking water to the people of Madras. An investigation was undertaken, and it was decided to rebuild the entire Telugu Ganga canal. Baba’s Trust took upon itself the responsibility of funding the entire project. 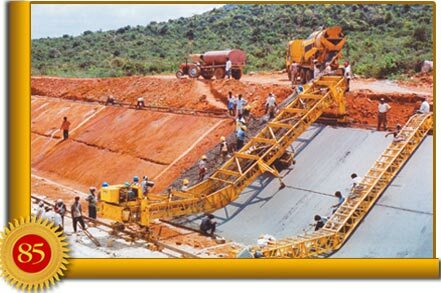 This meant making improvements to the reservoir in Kandaleru so that it could hold enough water to serve even during dry seasons, deepening and widening the canal as required, and lining the channel with the latest technology to totally eliminate seepage. As always, Baba took personal interest, constantly monitoring progress. In an expression of gratitude to Bhagavan Baba, the government of Andhra Pradesh renamed the project, Sai Ganga Canal. This was an extraordinary development in national affairs. At a time when inter-state water disputes are the order of the day, here was an instance, probably the only one of its kind, where a private charitable trust, commanding the love of the people, was able to execute a project to bring the water of the river in one state to the people of another. Nearly 13 months after construction began, the work was completed. 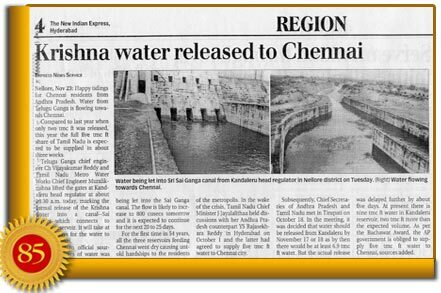 But for some reason, the rain gods didn’t comply and it wasn’t until November 2004 that there was enough water in the reservoir for discharge to Chennai. The shutters were opened on Baba’s birthday that year. Madras, now known as Chennai, has a population of over seven million. Thanks to Baba, Krishna River water now provides drinking water to this population, while irrigating some three lakh hectares of agricultural land on the way. This project cost over Rs. 600 crores. It is on account of Baba’s personal interest and blessings that the metro of Madras has been able to get water. There cannot be any doubts about this. 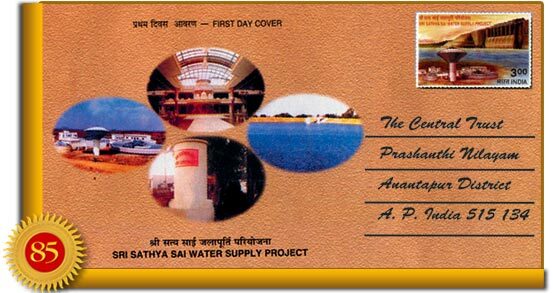 Not just that, Sathya Sai Water has today become a lifeline to the people of the Rayalaseema region and the districts of Medak, Mehaboobnagar, East and West Godavari and the city of Chennai. Through Sai Ganga, Swami immersed the people around these areas in Prema Ganga – the Flow of His Love. Celebrating salvation from misery, over 3,000 devotees from Chennai flocked to Prashanti Nilayam on 12 December 2004. They came to personally express their gratitude to Bhagavan Baba. 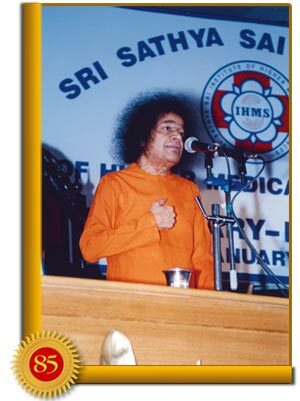 With its four major water projects, the Sri Sathya Sai Central Trust has laid a total of 5,020 kilometers of pipelines, or one and a half times the distance between Kashmir to Kanyakumari that is only 3,496 kilometres! Completed between 1994 and 2006, together the four projects provide clean drinking water to over 10 million people, or the equivalent of the entire population of Jammu and Kashmir. The third wish of Mother Easwaramma had been realized. And, having brought clean drinking water to millions, Bhagavan demonstrated His compassion for mankind and His intense desire to relieve suffering.